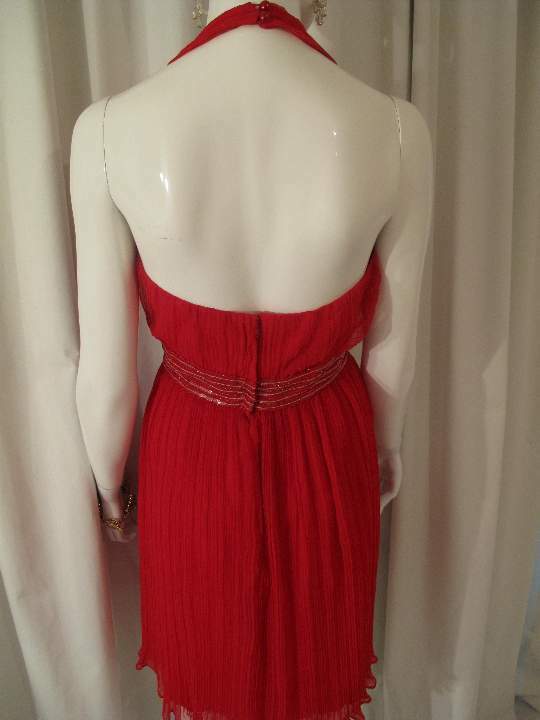 1970 s Blood red crystal pleated vintage halterneck dress by Miss Elliette. 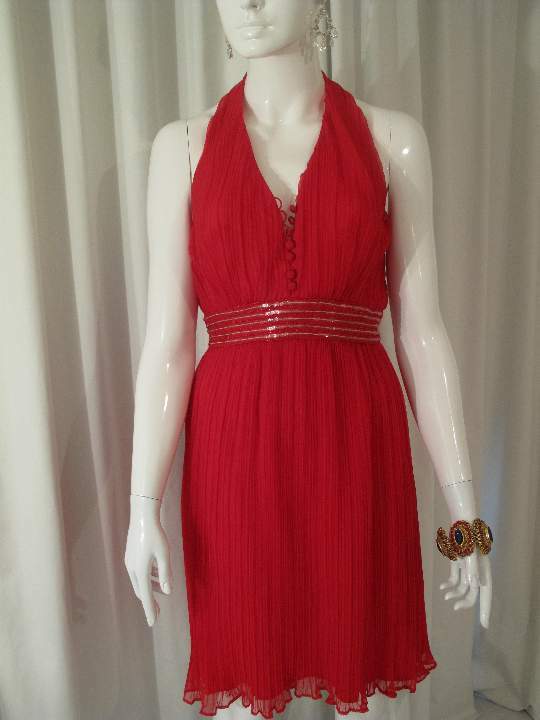 1970's Blood red crystal pleated vintage halterneck dress. 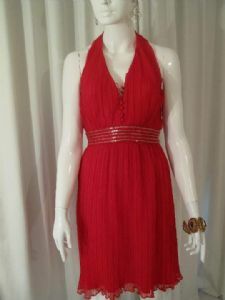 Crystal pleated red chiffon halter-neck with front covered button detail. 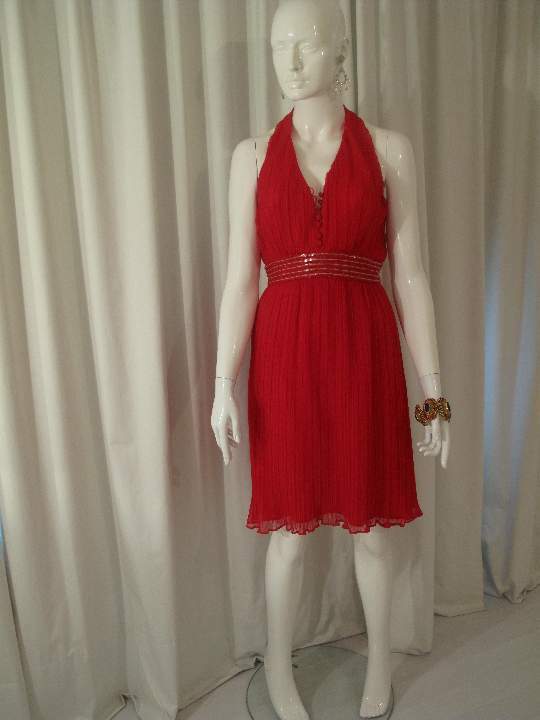 There is a waist panel of strips of clear sequins and embroidered red lurex. The skirt is crystal pleated gathered chiffon. 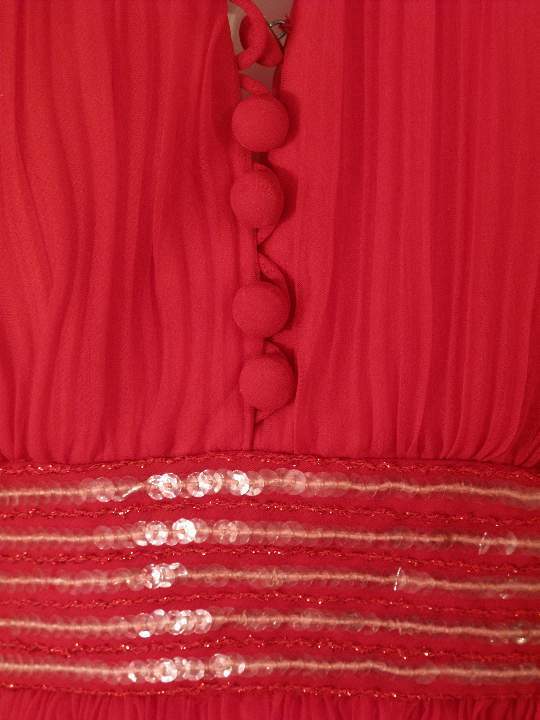 The dress has side boning for hold and a back zip fastening. 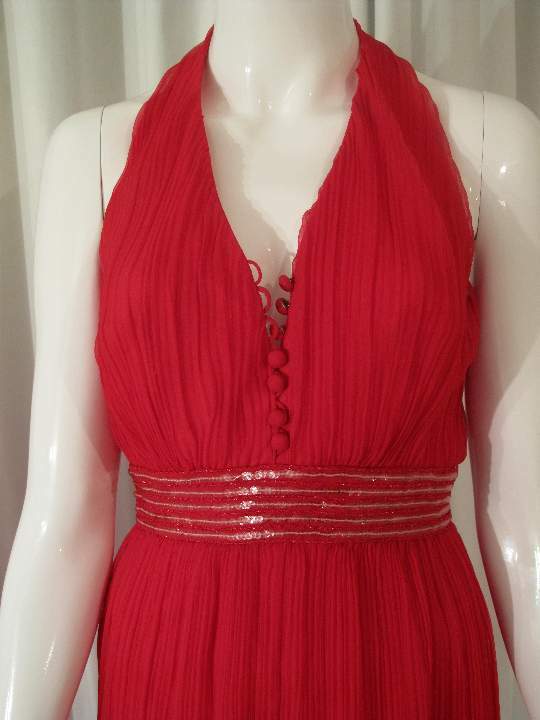 A vibrant flirty dress, perfect for that summer cocktail soiree.